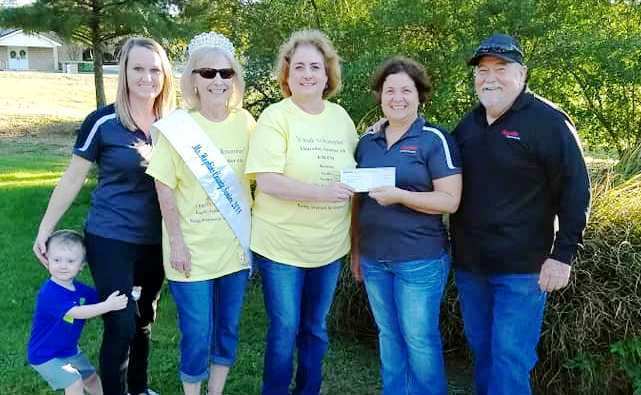 The employees of Saputo in Sulphur Springs, Texas are quite committed to helping good causes in their town, and donate regularly to funds they wish to support. The Sulphur Springs Sr’s Citizens Center is one of these causes. This $1,000. donation goes toward the fund for a new, larger building for the Seniors to meet in. Currently, the total in the Building Fund is $35,508.00. If you would like to send a donation, mail to 150 MLK Drive in Sulphur Springs, or phone Karon at 903-885-1661.